The Songs of Africa, the authors present evidence that the oldest written form of African music with embedded musical notation in the sub-Saharan region was Ethiopian chant, song, dance, and instrumentation. Those who are looking for the most ancient known roots of African song, jazz, musical phrases, composition, and scripted musical notation may find them echoing from the Ethiopian highlands from the fifth century and codified in a stable manuscript tradition dating to the fourteenth century. These manuscript sources predate by many centuries most other oral traditions found in traditional African religions. Despite their crucial importance in centuries of culture-formation, the Ethiopian Canticles have never before been the specific subject of rigorous critical textual investigation. In this volume one encounters significant implications for jazz history, African studies, and Christian culture in eastern Africa. ​﻿“Thomas C. Oden was a remarkable scholar and teacher whose long and varied life touched many areas of theology and spirituality. 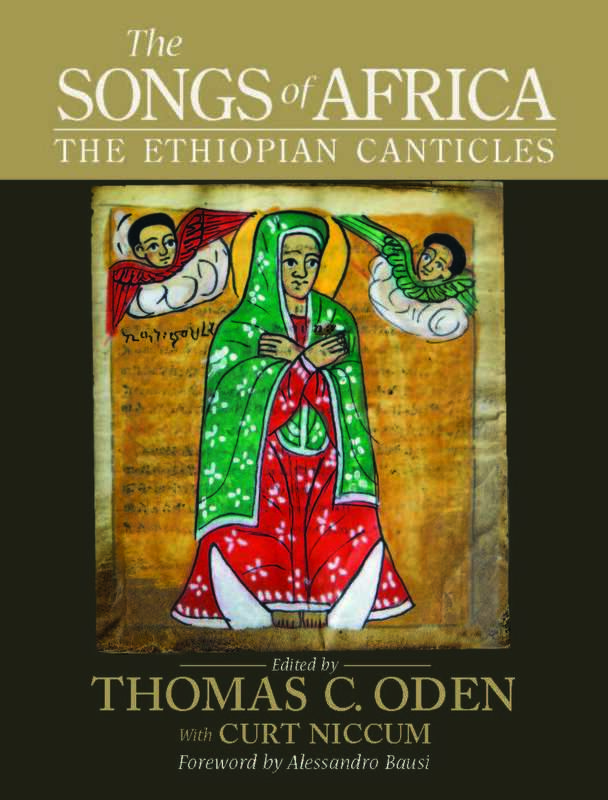 In his last years, Oden's attention turned to African Christianity and he began a project on the Ethiopian Canticles. The superb essays gathered in this volume represent some of the fruit of those labors. They shed new light on one of the earliest layers of historic Christianity, a living tradition in which liturgy, theology, and poetry coinhere in the vitality of faith. This volume attends to many points of view--an impressive statistical analysis of the manuscripts of the Ethiopian Psalter, a detailed description of their use in context, a careful and broad look at the exegetical and theological tradition--on the Ethiopian Canticles exactly as Songs from Africa, thus vindicating on the one hand to them their right geographical appurtenance, and on the other hand to Africa its important role also in the transmission of a written heritage.